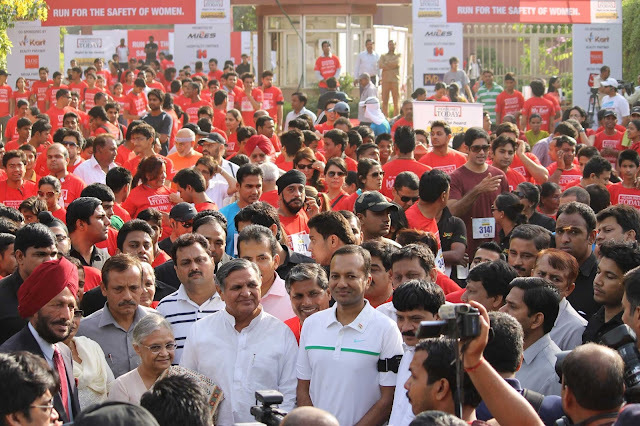 Delhi braved the scorching heat to run for a cause that has stirred the nation’s conscience — women’s safety. 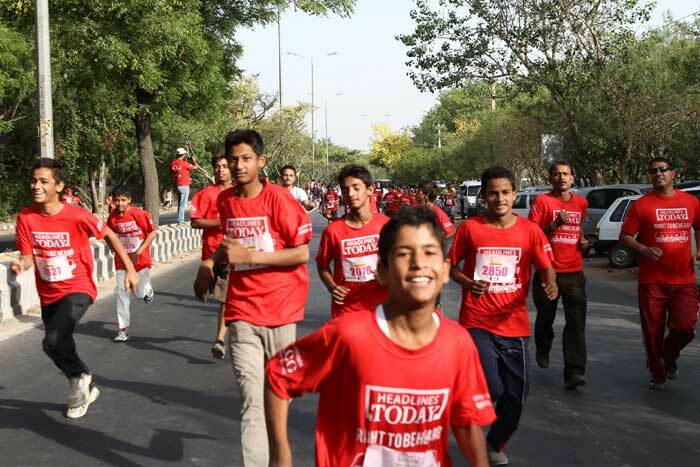 More than 1,000 citizens egged on by Flying Sikh Milkha Singh joined the Right To Be Heard Delhi Quarterathon on Sunday. Delhi Chief Minister Sheila Dikshit flagged off the run from Vasant Valley School, Vasant Kunj. Headlines Today, India’s leading English News Channel from TV Today Network in collaboration with 7 Miles Events, launched the ‘Right To Be Heard Delhi Quarterathon’. This ‘run for a cause’ focused on the sensitive issue of women’s safety and helped spread awareness. Delhi Chief Minister Sheila Dikshit said, “I am happy to be among you. We are here to run for the safety of women. They are part of our civilization, our world and our society. To protect them, look after them and give them respect will be the beginning of our great revolution”. Eminent personalities like Kiran Bedi, Naveen Jindal and members of corporate organizations, NGOs and academic institutions also participated in the Quaterathon.